The 6 day Online Extravaganza has started. There will be three 48-hour sales. The First sale has ended but there is still time to save on other products. You can find all the sale information at my Online Store. 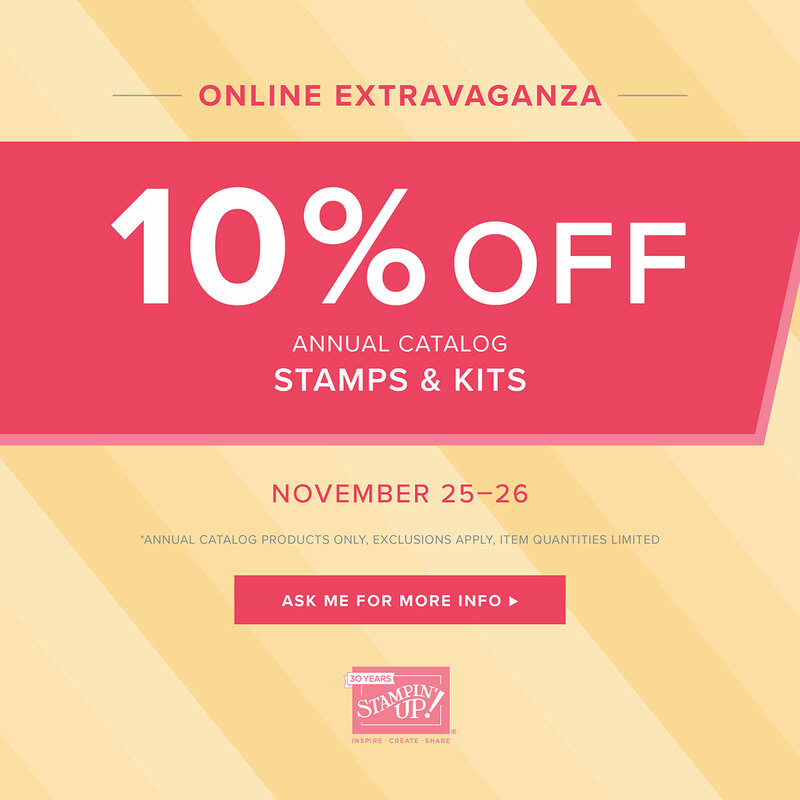 The Second sale starting Nov. 25th and ending at 11:50pm (MT) Nov. 26, will feature 10% off Stamps & Kits from the Annual Catalog. 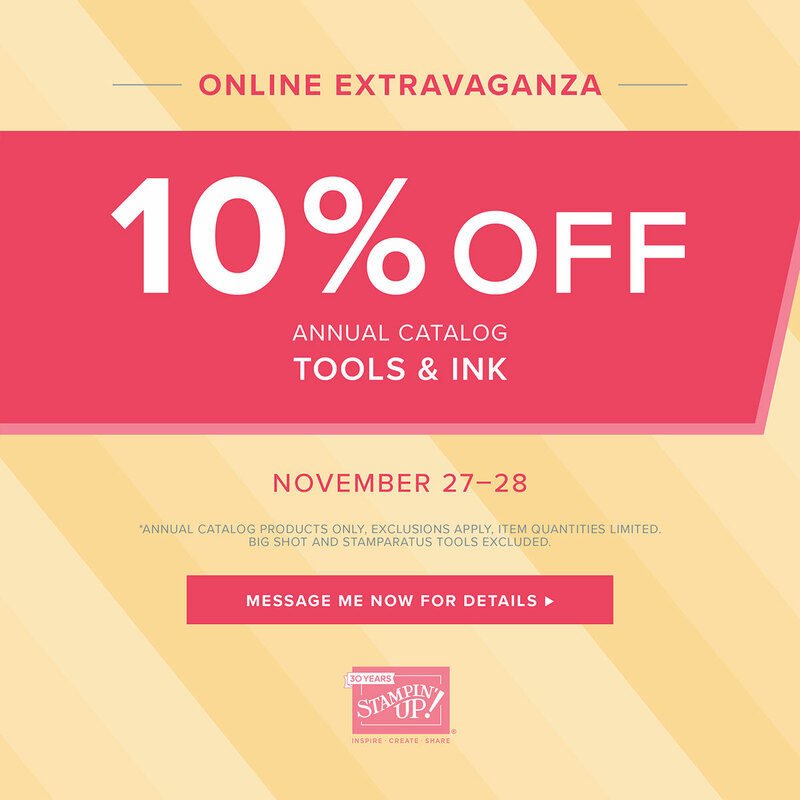 The Third sale starting Nov. 27 and ending at 11:50pm (MT) Nov. 28, will feature 10% off Tools & Ink from the Annual Catalog. *some exclusions apply, please check out the Stampin’ Up! store for details – here!